This heavy duty garment rack is nestable for maximum space utilization. High quality, durable and environmentally safe powder coat finish available in standard colors: Blue, Black, Orange, Red and Yellow. 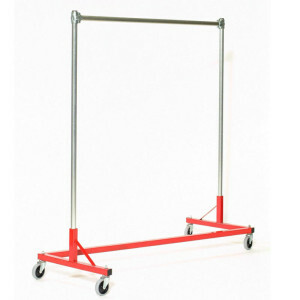 Garment Rack is 63″ L x 23″ W x 79″ H with heavy duty non-marring 4″ casters. Made in the USA. Contact us today to learn more!